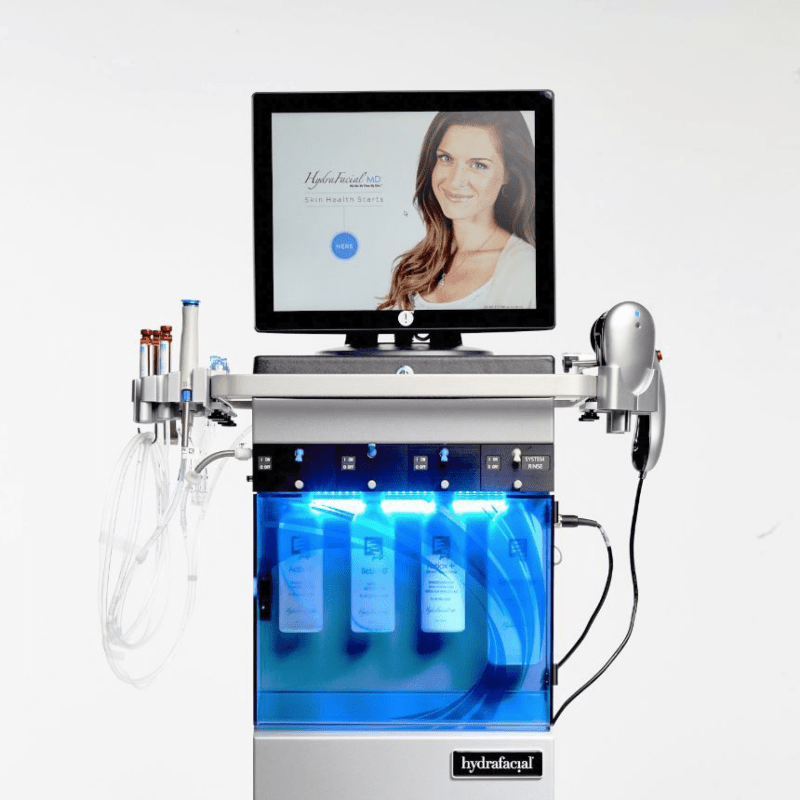 In 2018, HydraFacial® overtook “Botox” as the number one aesthetic treatment. It is a 6-in-1 treatment that uses advanced, patented “vortex” technology to deeply cleanse the skin and effectively deliver botanical ingredients. HydraFacial® delivers powerful antioxidants to counteract damage from acne, pollution, sun, stress, etc; rejuvenating the skin and slowing down the ageing process. Unlike other treatments, HydraFacial is gentle on your skin so it can be had as often as weekly or monthly to achieve a fast and long lasting result, along with no downtime! 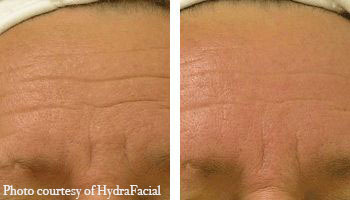 HydraFacial’s popularity stems from the fact that it is essentially 6 facials in 1 and only takes 1 hour. It consists of 6 separate stages, designed to target different areas within the skin. 1 ⇢ Lymphatic Drainage/Detox: Light pressure and long, gentle, rhythmic strokes to increase the flow of lymph and reduce toxins in your body. 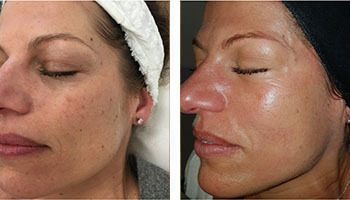 2 ⇢ Microdermabrasion: A deep exfoliation process to remove dead skin cells and cleanse the skin. 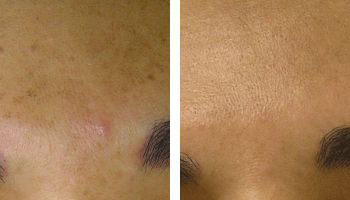 3 ⇢ Chemical Peel: Application of botanical ingredients. 4 ⇢ Extraction: Extracting bacteria or “gunk” from the face. 5 ⇢ Hydration: A topical hydrator to hydrate , rejuvenate & protect your fresh new layer of skin. 6 ⇢ LED Light Therapy: To stimulate the production of collagen. This is the step that helps improve the appearance of fine lines & wrinkles. For those of you with a little less time, we offer a HydraFacial Express which takes around 30 minutes and is perfect for anyone with a busy lifestyle. It detoxifies the skin, removes dead skin cells & any debris, and provides long lasting hydration & essential nutrient support to protect and rebuild collagen levels. 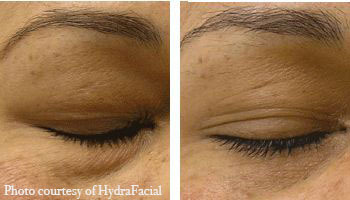 HydraFacial is a treatment that everyone can enjoy, regardless of age, ethnicity or skin type. 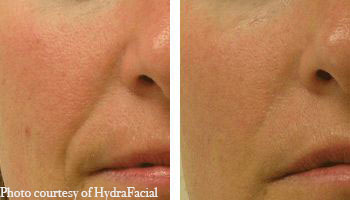 HydraFacial can be tailored to safely and effectively address specific skin concerns. Simply book a skin analysis with our Skin Experts and they’ll advise the best protocol for your skin. The products that we use in conjunction with the HydraFacial machine is the ZO Skin Health range. “As a man, I can’t say I’m too well versed in facials or beauty treatments but when they opportunity arose to have a HydraFacial, I jumped at the chance. The entire procedure was extremely pleasant. The motions follow that of a lymphatic massage and are therefore very relaxing and I should note that at no point did I experience any form of discomfort. Each step was carefully explained to me which gave me great confidence and left me feeling revitalised and like I’d learnt something. Following one of the stages, I was shown all the junk that had been sucked out of my face – this for me was phenomenal! I could see and feel the difference in my complexion but to be able to see the contents which had been in my face was fascinating.